Café Creme was launched by a true pioneer in the cigarillo industry, Henri Wintermans. Born in 1886, Henri started his own factory with his brother, Sjaak in 1904. In 1934 they relocated their factory to Eersel, a small town in the Netherlands, where the factory still functions today. Café Creme was unveiled in Great Britain and France in the early 1960s where it quickly became a top seller. Wintermans hasn’t looked back since, totaling over 1.3 billion units sold in 2005/2006 worldwide. 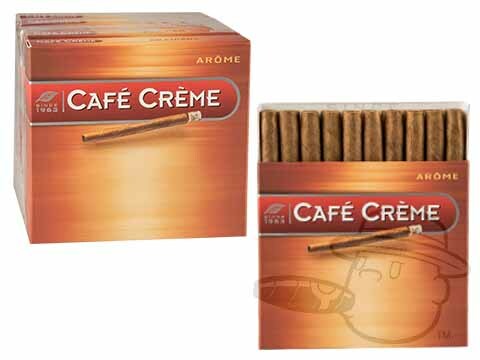 Café Creme cigarillos are now imported by CAO, and come in tins of 20 in a variety of flavors. 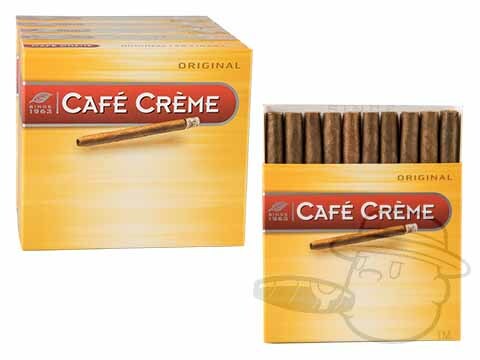 The regular Café Creme cigarillos are wrapped carefully in a Java leaf, with a selection of Dominican Republic, Java, and Columbian tobaccos. 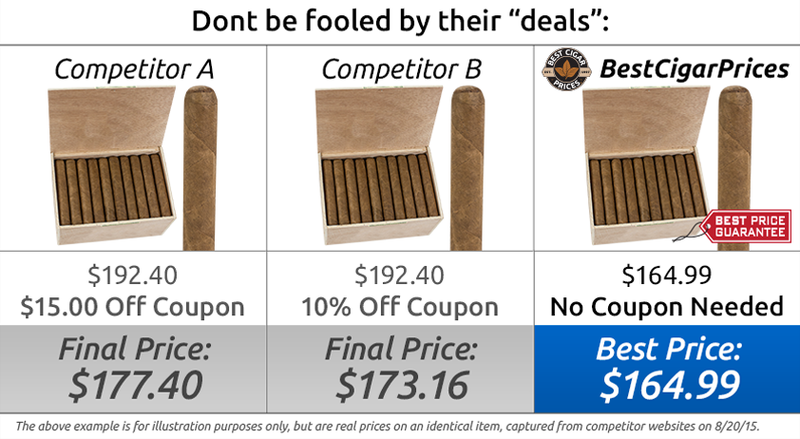 Wintermans also offers the same Café Creme, except the cigarillo has a filter, thus the Café Creme Filter cigarillo. 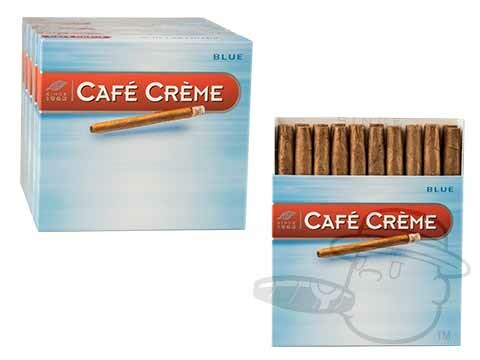 Café Creme Blue utilizes the same tobacco, but is wrapped in a blond Ecuadorian leaf. The Café Creme Aromé, or Oriental, uses the same blond Ecuadorian leaf, but it’s blend consists of tobacco from the Far East, Africa, and Brazil. Wintermans has kept their product consistent in quality and price, perfect with a nice cappuccino in the morning, try a tin today!